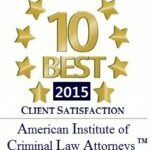 Fraud Crime | The Law Offices of Shawn M. George, Esq. White-collar crimes usually involve business and professional people who have made poor decisions. Because the evidence of white-collar crimes is often complex financial documents, it can be difficult determining who is criminally responsible, and authorities may accuse an innocent person. These investigations often come to light prior to the government even being apprised by the victim. We can often intercede and prevent the case from being referred to the government for criminal prosecution. Many of these cases are filed in federal court and the stakes are very high. At the Law Offices of Shawn George we are tenacious negotiators and fierce litigators who can handle complex, voluminous evidence. We have had many years of criminal law experience. If you or a loved one has been charged with or are being investigated for a white collar crime, please contact us. Our law offices are conveniently located in San Jose and Los Banos, California.